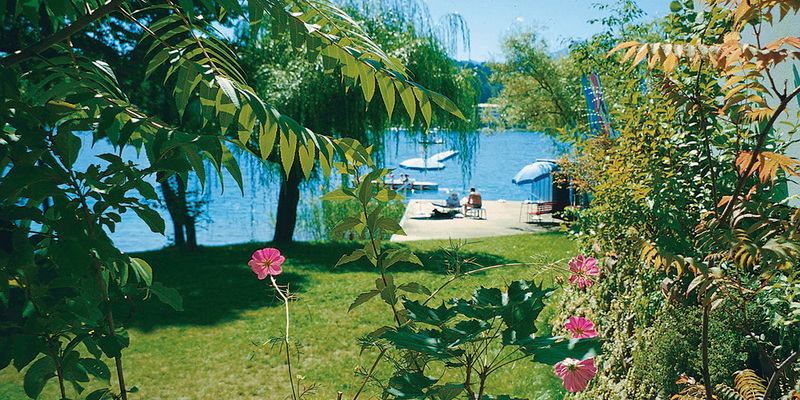 7,000 m² lakeside park on the sunny side of Lake Wörthersee! Holidays here are exactly the way you imagine them, all year round: in summer you can walk straight from your room, lakeside apartment, holiday apartment or holiday home to Lake Wörthersee in your swimming trunks, a bikini or swimsuit and with flip-flops on your feet, and in winter with ice skates and an anorak. There is no road, bridge or tunnel in between. You can walk to the beach along a direct path in total security. 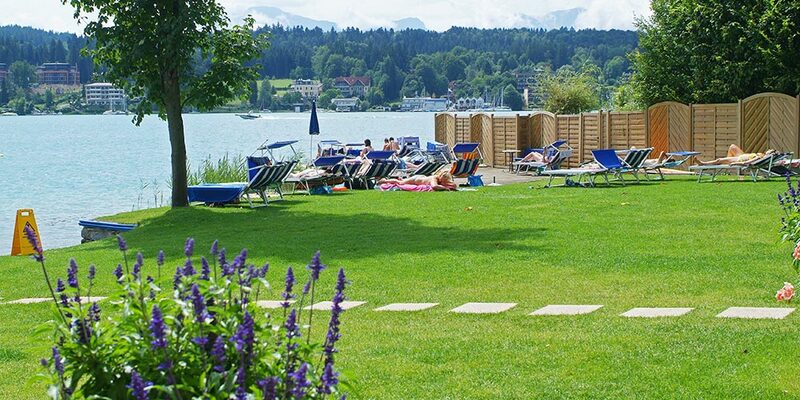 For sunbathing the 7,000 m² area has ultra-modern sun loungers with sun canopies available free of charge. If you want to doze or read, simply sit in a beach chair or let a paddleboat carry you across the water. Water sports lovers can borrow one of the hotel’s own surfboards free of charge, go water skiing or try a ride on the water banana. 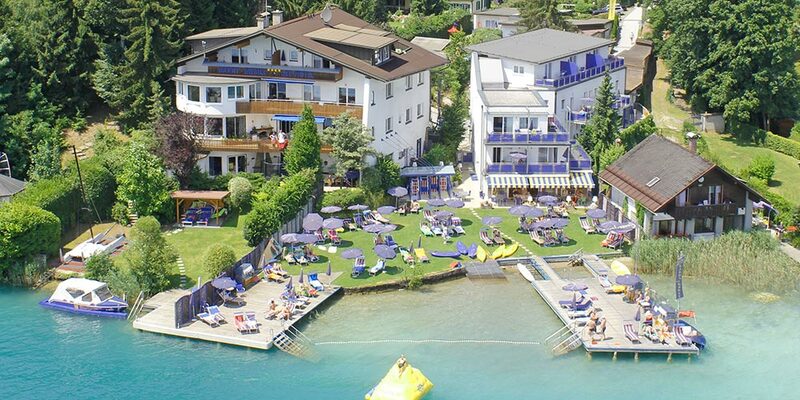 Water babies can climb on the hotel’s own floating iceberg (unique to Lake Wörthersee) or have a go on Barry’s water trampoline. 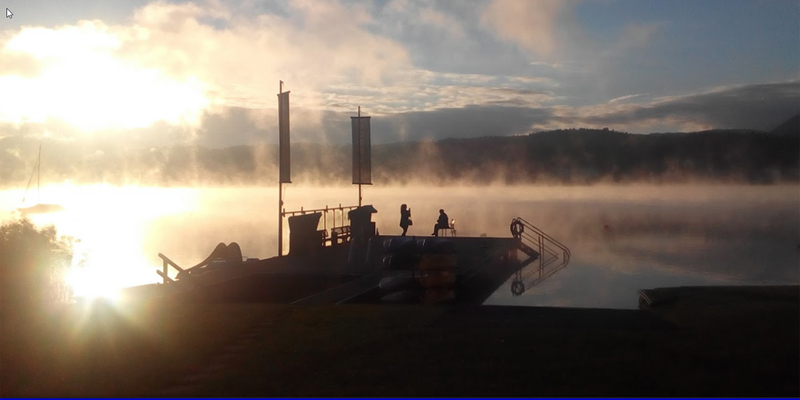 And if you would like to discover the shore of Lake Wörthersee from the water, you can book a round trip on one of the hotel’s two eBoats and let the hotel manager personally chauffeur you around the highlights of Velden Bay. Anglers are welcome to use one of the free Barry’s fishing boats. We are here for you all year round!